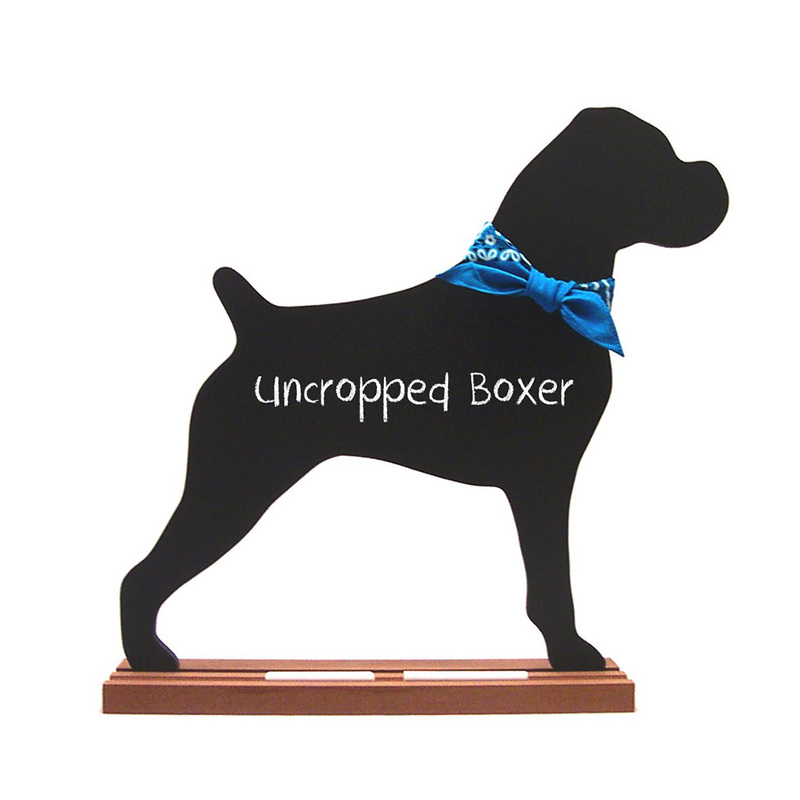 Boxer (Uncropped) Dog Chalkboard featuring your favorite dog breed - the Boxer. Our Boxer with Natural Ears decorative dog breed chalkboard is completely handcrafted of 3/8" wood, with a 3/4" thick base. It is hand finished on both sides. Delivery Time:Please allow up to 2 weeks for Shipping.